I've always been a fan of tattoos but get bored easily and change my mind too often to get any real ones, so got a bit overly excited about these beauties - the Chanel transfer tattoos! 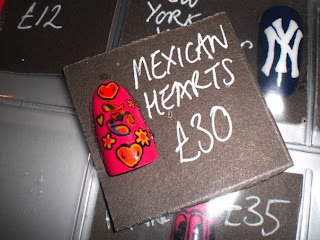 £49 for 55 little body stickers might sound like a lot of money but if you think about it thats less than £1 for each one and that means a bit of Chanel for less than £50. 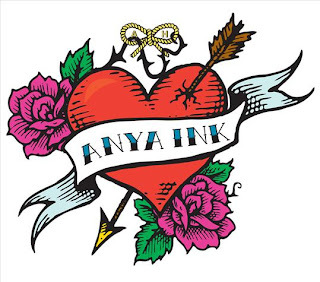 If this sounds like your kinda thang then they're available to buy at Selfridges, if not then there's always the Anya Ink Temporary Tattoo Parlour at Anya Hindmatch. Since the big V day is coming up , the people at Hindmarch have gone love crazy and set up an Ink Parlour at their Ledbury Road store. Head down there between 11-13th Feb to get matching his & hers love hearts done with you and your boo or just some cute girly body art if you're single and ready to mingle. Can always come in handy if you want to strike up a convo with someone you like the look of! 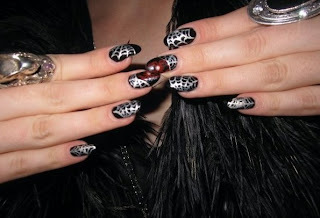 If you're still not convinced there's another less "in your face" alternative - nail art! I've been doing my own designs since I was about 12 since I was never very impressed by the options at my local nail salons. 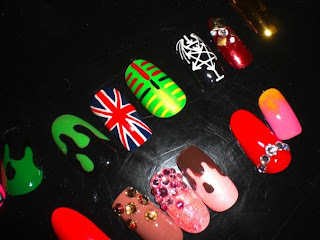 And then like someone read my mind along came Wah Nails salon in Dalston! 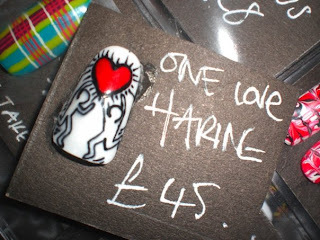 Not only can they do any design your heart desires but the salon also regularly puts on private views for new artists. There's also a clothing and magazine section! I decided to treat myself on my favourite time of the year Halloween last year and designed these bad boys. They lasted a good week - well worth the money! If you're not sure what you want, just pop in and have a look at some of the designs on offer. 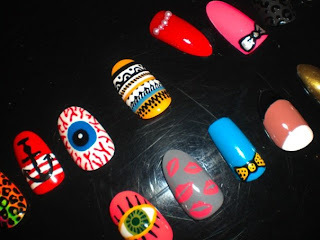 A lot of people get really excited & overwhelmed like children in a pick 'n' mix shop and decide to have a different design on each nail. 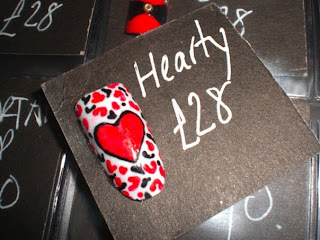 And of course they've got some alternative heart designs for Valentines Day coming up!